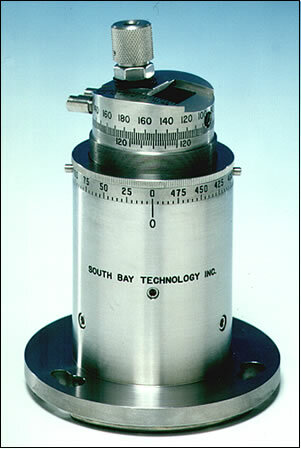 The Model 170 was designed in collaboration with Lawrence Livermore National Laboratory and Max Planck Institute for the precision orientation and lapping or polishing of single crystals. This design is based on the work of Mader et al at MPI and is capable of applying a controlled force to delicate samples. The advantage of the Model 170 is that it can be mounted directly on an x-ray track for Laue Back Reflection orientation. Precision of 0.1° in orientation can be obtained by double exposure with 180° rotation of the fixture in the optional Model 17011 Track mount. Used to polish oriented crystals.